The Taco Bus in Tampa is like a landmark…people are always there and it has over 500 ratings on Urbanspoon and 80 Yelp reviews, which is a huge number for this city. Foursquare shows check-ins even into the wee hours of the morning. A 24-hour taco truck is a godsend to this city where restaurants start to close up shop around 10pm on weekends. 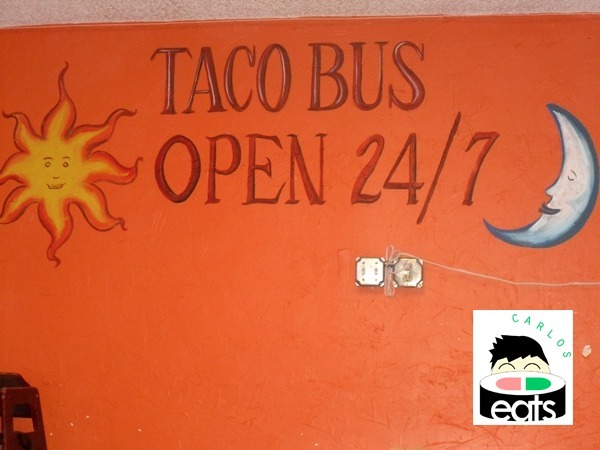 They have a great menu with a variety of choices and ingredients; several beverages as well, there is nothing that someone cannot love about the Taco Bus. 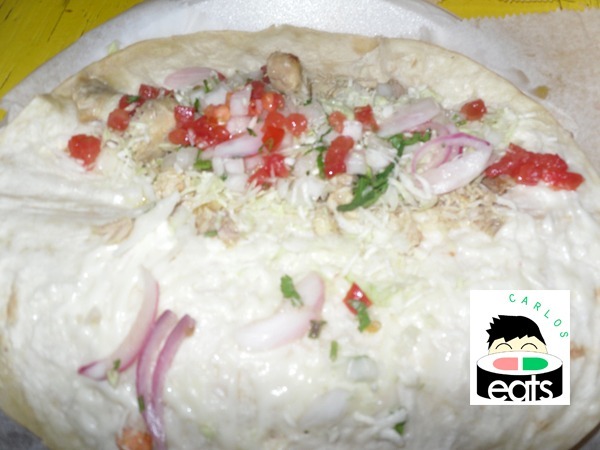 If the Taco Bus was in California, it would be just another taco truck…but it has successfully done correctly what I have often pondered was missing in Tampa: authentic tasting Mexican food. Anyone who is from California or some other state heavily populated with Mexican people knows that the majority of the places in Tampa or Florida that claim to be “Mexican” restaurants are actually using canned beans, pre-made rice, and no actual Mexican ingredients. Everything from the cheese to the seasoning on the meat at the Taco Bus tastes like real Mexican food, and although the style is slightly different from what I’m used to in Northern California, Taco Bus still makes an authentic meal that I can actually enjoy. 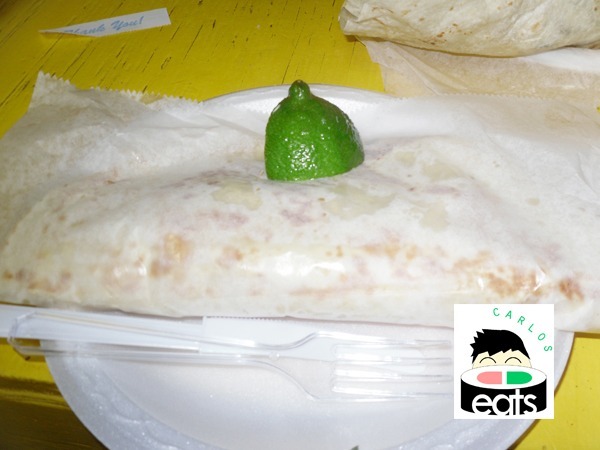 Their Carne Asada tastes great and I have tried their tacos, burritos, and recently I finally gave their quesadillas a shot. I wasn’t disappointed. My friends burrito. I like my burritos with Carne Asada and some refried beans/sour cream. The quesadilla ($4.99) was pressed perfectly to be crunchy and with all the ingredients warmed to the right temperature. The inside of my quesadilla looked amazing. Plenty of cheese, tomatoes, chicken, and onions. I also get their horchata on every visit. Although their horchata tastes a little different then how I prefer it, it still tastes great and you get a ton of horchata for just a few bucks. Usually the food comes out quick and although lines get long they move pretty quickly. There is plenty of space inside and outside to eat as well. I am in love with the Taco Bus and would totally wear one of their t-shirts if I had more money. They are opening a Taco Bus out in St. Petersburg and now all I can do is hope they bring one out to Brandon! Love this place. I was getting my haircut and some girl was trashing the Taco Bus. I was shocked because what is to hate about it? Great pictures. 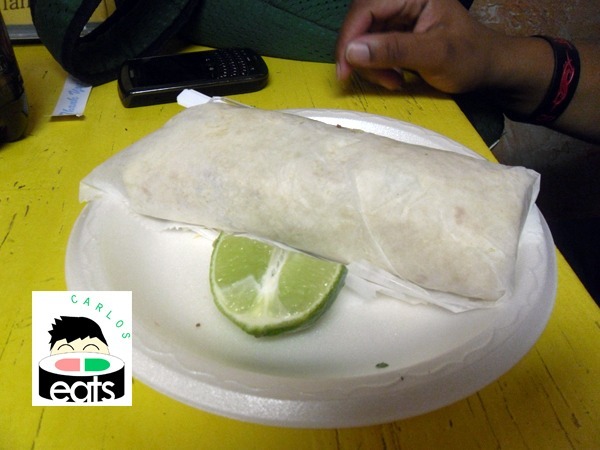 Ah I have heard people trash talk it too, they just don’t understand “good” Mexican food that’s all. Good review carlos. I would be interested in your take on the new Taco Bus in St Pete. Is it as good as the original? I haven’t had a chance to try it David. I plan to try it during my next visit to St. Petersburg. From the long lines I’ve seen today online during their grand opening, I’m expecting that it’s a smash hit. I will investigate soon though!